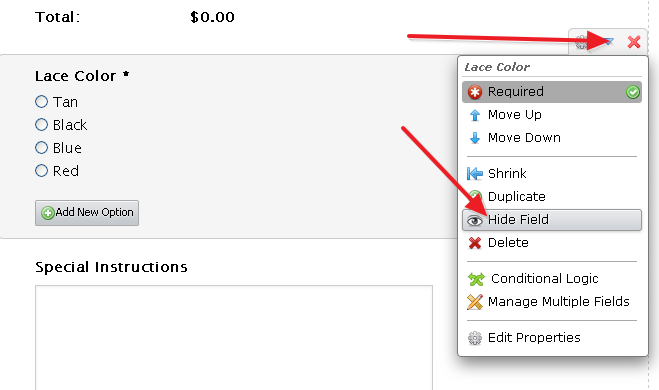 How can I add additional product options to my form? I would like the total to calculate $10 additional if the customer selects Blue or Red lacing. 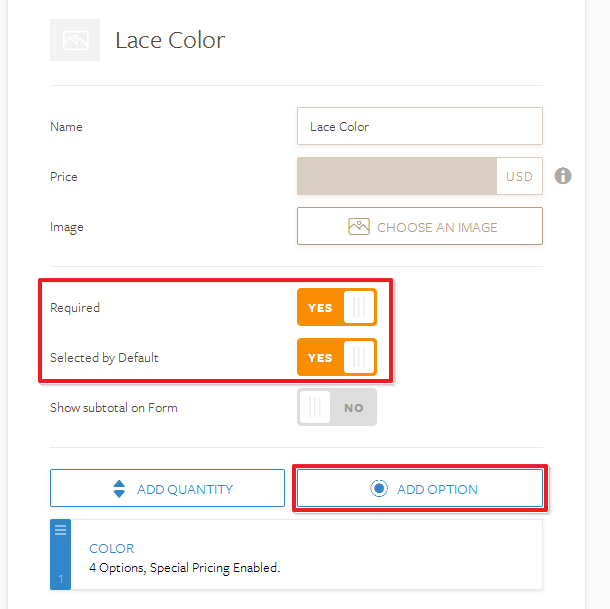 You can set up special pricing per color option, as described in the above linked guide, and you would have different prices based on the selected color option. Please try setting it up as a new product in the manner described above, and let us know should you run into any issues or snags along the way. Thank you!